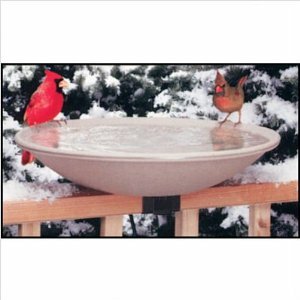 The annual Great Backyard Bird Count is taking place on Friday, February 17th through Monday, February 20th, 2012. What is the GBBC, how can I participate and why count birds? What is the GBBC? The Great Backyard Bird Count is an annual bird counting event conducted by the Cornell Lab of Ornithology, the National Audubon Society and Bird Studies Canada. 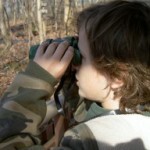 People of all ages take part in this event to count birds in their area. You can count birds in your backyard, at your bird feeder, in the park or any other place in your area. This 4-day event has bird watchers counting birds for as little as 15 minutes a day or as long as you like each day. 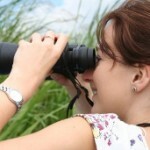 How can I participate in the 2012 Great Backyard Bird Count? It’s easy to become part of the 2012 GBBC! Count birds in your area for at least 15 minutes or longer if you want. You can count birds one, two, three or all four of the days. Count the number of each species that you see together at one time. There is a regional checklist that you can print out to help you keep track of the birds and numbers. Then enter the highest number of the individual species that you have counted at one time for that day. Find the information at: http://www.birdsource.org/gbbc/whycount.html. That is how simple it is to be part of the 2012 Great Backyard Bird Count. It is so much fun to count birds and is so helpful to the organizations involved. Why count birds? The Great Backyard Bird Count gives scientists and bird enthusiasts a real-time picture of the birds across the continent. The count allows the researchers to have this important information in a short period of time. It would take scientists and research teams months and years to collect this much valuable information that will be presented in these 4 days. The data gathered will show scientists things like: how winter influences the population of birds, different migration patterns compared to previous years, if different regions are affected by bird diseases, the variety of birds that live in the different areas (rural, suburban and natural habitats) and many other factors. The Great Backyard Bird Count website will be tallying the birds as they are reported, comparing them with last year’s statistics and have a photo gallery for new pictures that people can send in. The 2012 GBBC will be a fun event, give the scientists the much needed statistics and the great thing is that everyone can be a part of it. Have a Great Backyard Bird Count for 2012! A good pair of binoculars is one of the most important tools for bird watching. Binoculars allows close up views of birds in their natural habitat. 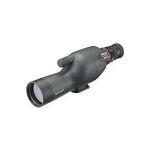 The right binoculars makes it easy to see birds nesting, feeding and flying in the distance. The first thing to look for in a new pair of binoculars is a good quality lens. Find a binocular that shows no signs of image distortion or color changes when viewing objects. A change in color through the binoculars would make identifying birds a much more difficult process. The next feature to consider is the magnification and the size of the lens. Many bird watchers prefer the 7×35, 7×42 or 8×42 binocular; the lens allows sufficient light into the optics and are lightweight while hiking and bird watching. The 7x means that you are seeing your object 7 times closer than with the naked eye. An 8x or 10x magnification brings images closer, but the drawback to the 8x or 10x is that they are a heavier binocular to be lugging around to watch birds. The 35, 40, 42, 50 numbers that follows the magnification is the diameter of the lens in millimeters. The larger the diameter of the lens the sharper and brighter the object. Don’t forget the weight that comes along with the larger lens, too. The binoculars’ exit pupil is a guide to the image brightness. For watching birds in the day a 3 or 5 exit pupil is fine. An exit pupil around 7 is used in low light situations like for astronomy. To figure out the exit pupil just divide the magnification into the diameter of the lens (ie. 7×35 would be a 5 exit pupil). One more thing to consider when finding the right binoculars for bird watching, though not the last thing to consider, is the ease of the central focus mechanism. Look for a pair of binoculars that has the center focus wheel and make sure that the wheel turns easily and smoothly. These are some of the main factors to keep in mind when you are out looking for the right binoculars for bird watching. The right binoculars will make your adventure so much more fun. Your Bird Feeder recommends the Nikon 7294 Monarch III 8×42 Binocular. The Monarch 7294 features a sharper and brighter image. The low-light performance of the Nikon Monarch has been drastically improved. The weight of these binoculars and the focusing mechanism are excellent for bird watching. Take a look at the Nikon Monarch ATB Binoculars here. There are some simple birding ethics that bird watchers must follow. Here are a few of the common sense rules that should be obeyed while bird watching. Make sure that you are not disturbing birds, disturbing other people or harming the environment. Be sure not to interrupt or disrupt other people from enjoying birding. Respect people’s property and the privacy of others. Aside from people, also avoid disturbing the birds themselves. Don’t disturb or stress birds, especially those who are breeding, as this may cause them to leave or abandon their eggs or chicks. Avoid harassing them with excessive bird calls. Never disturb a nest or handle eggs. Leave nothing but your footprints on your bird watching adventures. Avoid damaging the environment and littering. Make sure to take back any garbage upon leaving. Feeding wild birds inappropriate food is not acceptable. Avoid leaving food scraps or any left-over food that may attract bird predators. When leaving your birding position for a bathroom break take your garbage with you. Wrappers, cans and bottles left behind can attract birds. These misplaced wrappers and items if eaten by the birds may make the birds sick or even cause them to die. It is best to put your trash into your backpack and dispose of it properly. Also avoid interfering with birds that seem to be in distress. An example is baby birds that are on on the ground. They may not be abandoned but just out of the nest and learning how to fly. Some birds just wait for humans to leave before they rescue or return for their young. Another example are hummingbirds in a state of torpor. They may look like they’re dead, but actually they are resting to replace the energy. Birds who are stunned because they hit a window or something will come around. Leave them alone. What you can do is to make sure that there are no bird predators around. Birds carry diseases. There are birds who carry the West Nile Virus and others who have ticks that carry diseases like the Lyme disease. Bird mites can get into humans, although they would not stay, they can cause you some misery. Report sick or dead birds to the local authorities who can appropriately address these cases, but avoid handling the birds. One of the most important rules is to share the birding code of ethics with beginners. The beginning birder may not be aware of the ethics involved with birding. It is up to the present bird watchers to share this knowledge, what you have learned along the way, with beginning bird watchers. You may just make a new birding friend or two. In a nut shell, most of the bird watching code of ethics is common sense. Respect fellow bird watchers and respect the environment. Bird watching can be great fun. Bird watching as a recreational activity can go a long way. By abiding with the code of ethics everyone can benefit from this great sport.